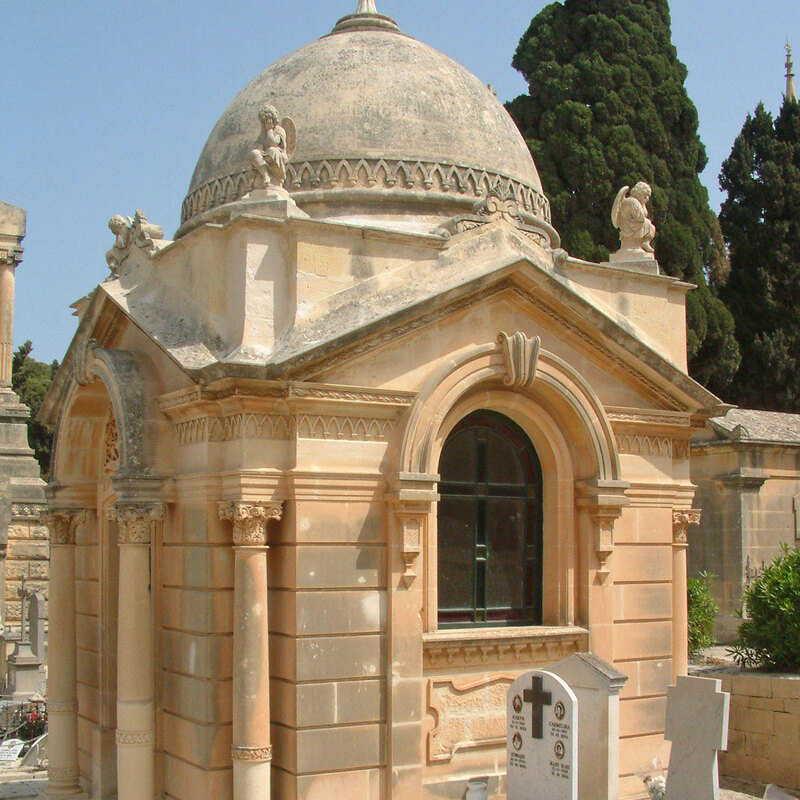 The Chapel of the Muscat family was most probably conceived as a memorial monument to Paolo Muscat and dates back to the first quarter of the 20th century. 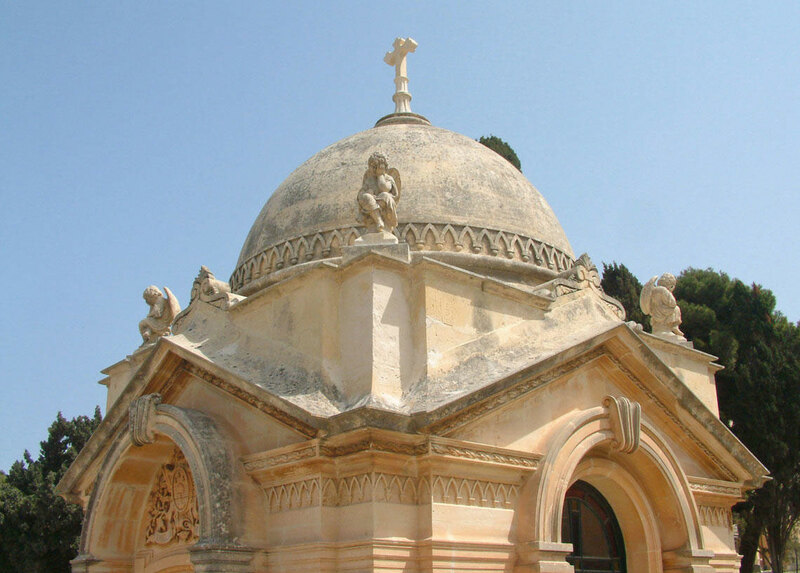 The chapel is concentric on plan and is topped with a bulbous dome surrounded by four small ‘sitting’ angels, making the monument a charming decorative landmark within the grounds of the Addolorata Cemetery. 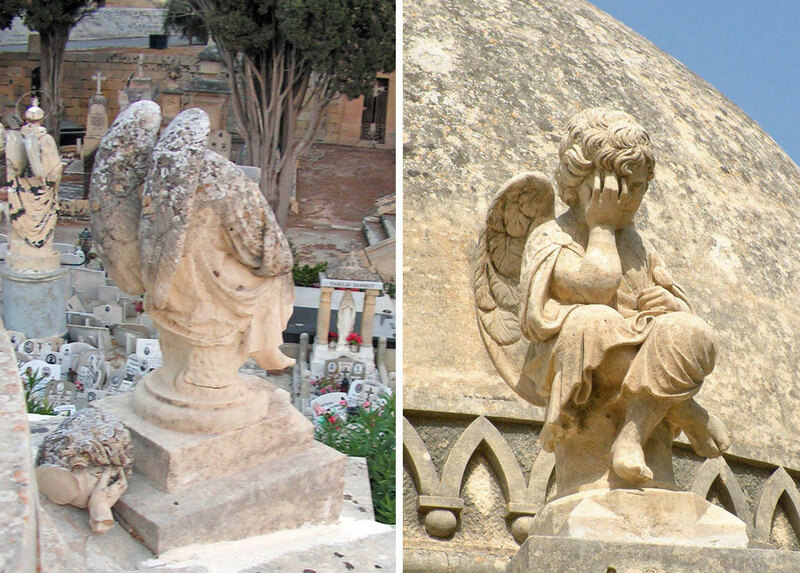 Some sculptural elements, including the majority of the stone angels, were severely deteriorated and back-weathered. 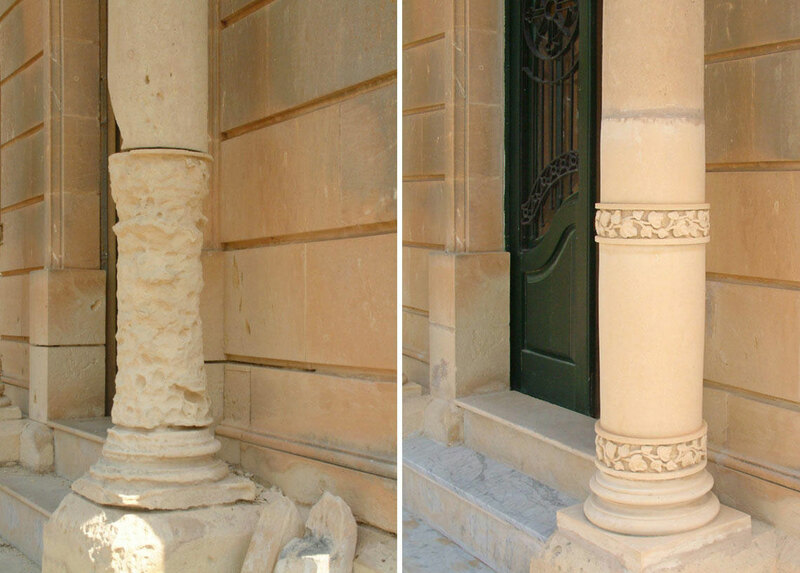 Restoration works included some stone replacement and plastic repair of the columns, as well as the repair of missing parts of sculptural elements.